Riperian draw restorationAxle Canyon Ecological Preserve is actively working to restore degraded habitat, especially riparian areas, because numerous wildlife frequent water sources provided by this habitat at our western boundary. Topographical maps of this area show a spring and likely because that spring was perennial prior to any historical record and over time degraded to a wet-weather spring. For this reason, we placed a stock tank for wildlife close to the travel corridor for those times when the water is not present on the surface. Thanks to a great monsoon season in 2006, we saw water on the surface of the arroyo from October 2006 until December 2007. We constructed several water harvesting structures in the arroyo to restore degraded springs to their original perennial condition. Mulberry Canyon is the main stream with a watershed area of approximately 2300 acres where it exits on the western side of the Preserve at 6000' elevation. Main tributaries are Mulberry Canyon headwaters, Mulberry Tank, and Axle Canyon - numerous small tributary arroyos have their confluence with Mulberry Canyon. 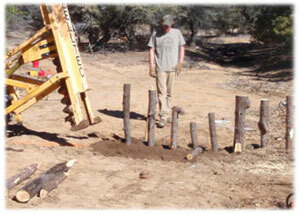 Restoration Workshops - Tres Allianz WeekendAxle Canyon Preserve received a US Fish and Wildlife Partners' Program Grant, which it utilized to construct the water restoration structures. 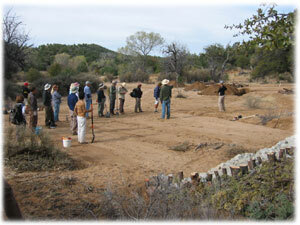 Axle Canyon Preserve also hosted Tres Allianz (Sky Island Alliance, New Mexico Wilderness Alliance & Upper Gila Watershed) for a work weekend in 2009 when substantial volunteer assistance was required to construct some of the structures. Students from Aldo Leopold High School in Silver City also helped at Axle Canyon Preserve and assisted with planting a variety of native grasses. 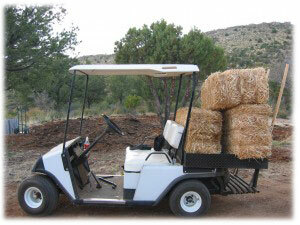 One way that we practice sustainable living is by utilizing the power of the sun to provide our electricity. Harnessing sunlight with a PhotoVoltaic system does not reduce our ability to use electrical conveniences that we need, such as computers, microwave, power tools  using this technology just makes us more conscious of how much power we use. Our goal is to implement sound ecological and environmentally-conscious processes that restore the property to a balanced habitat sustaining a healthy diversity of flora & fauna.